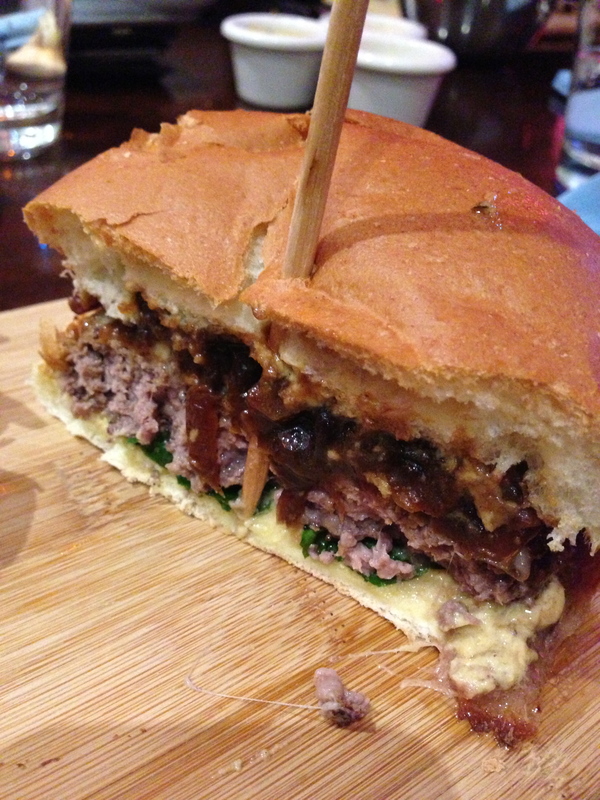 The Deux Chevaux burger made with grilled beef, gruyere cheese, baby spinach, smoked bacon balsamic caramelized onions. 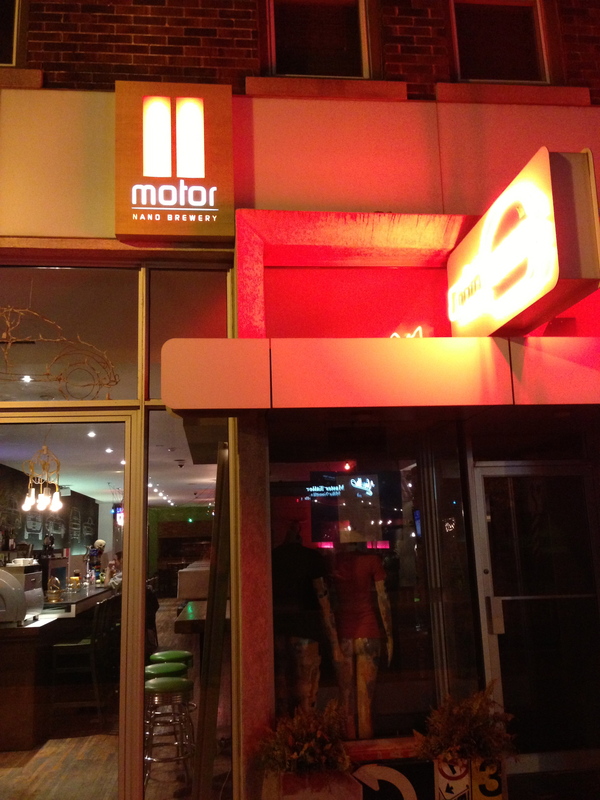 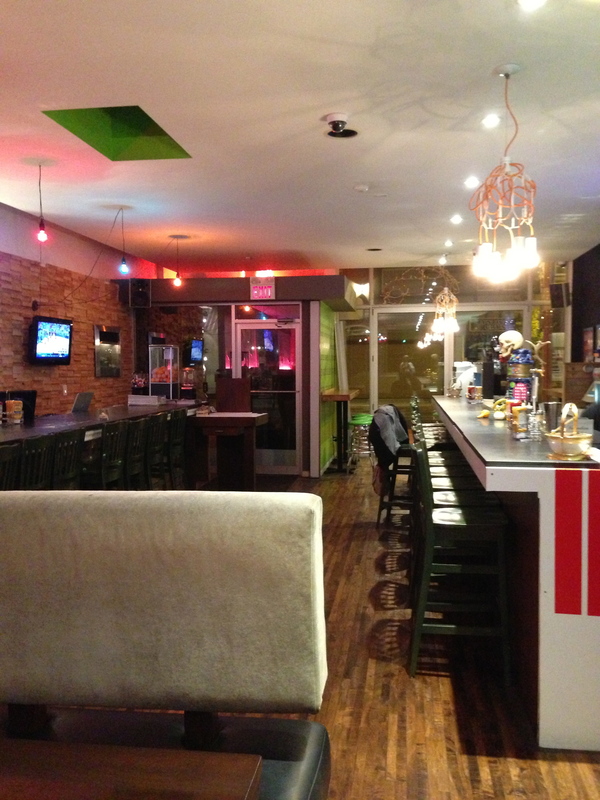 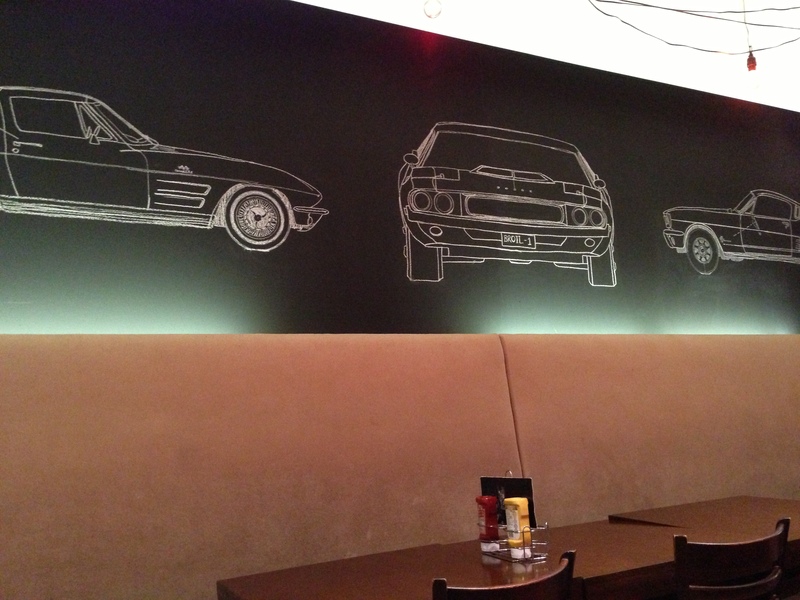 The bar area inside Motor Burger. 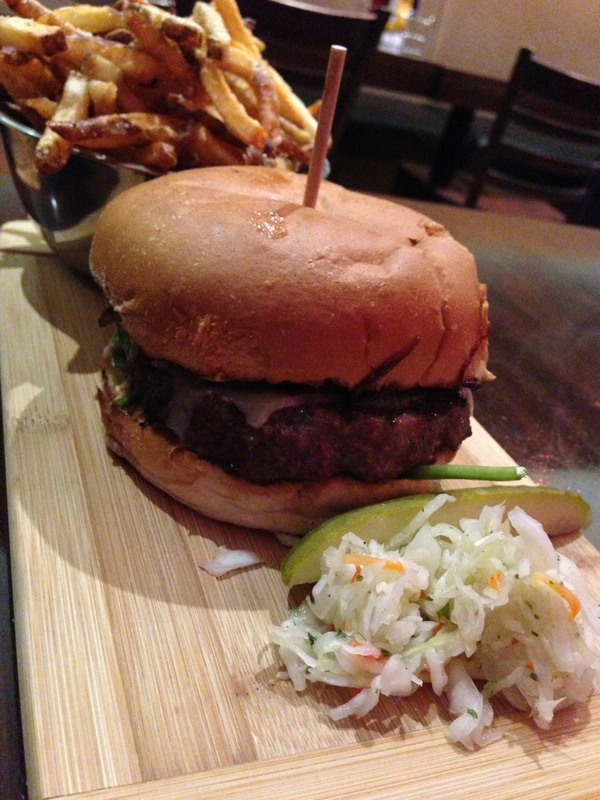 The close up of the Deux Chevaux burger. 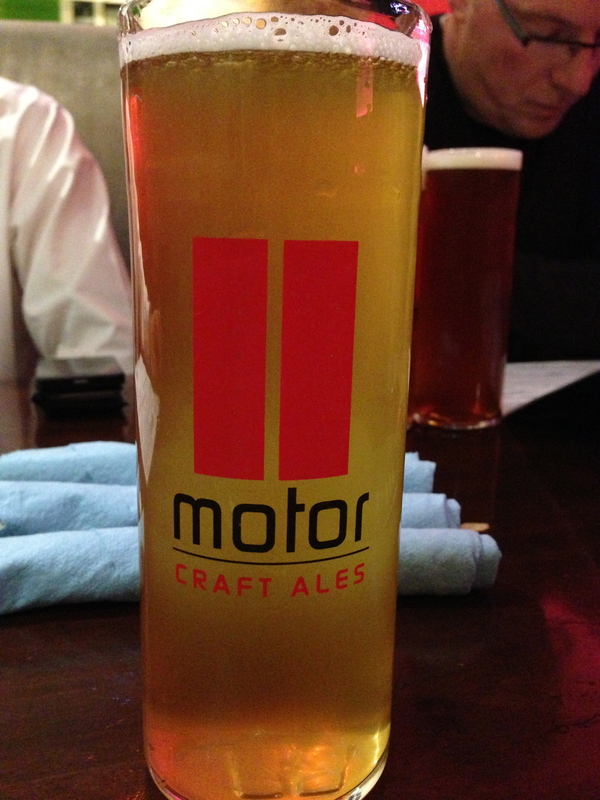 Motor burger’s own craft beers. 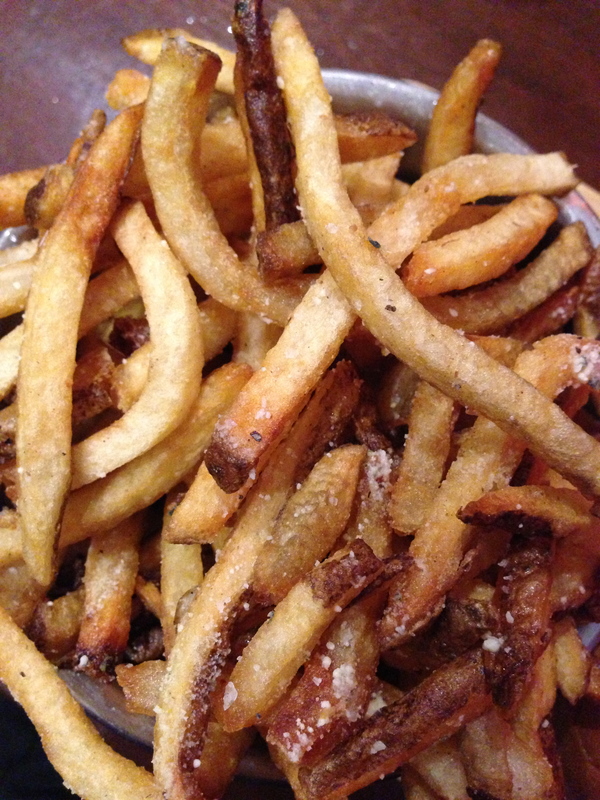 Fresh cut fries – perfectly crisp and salted. 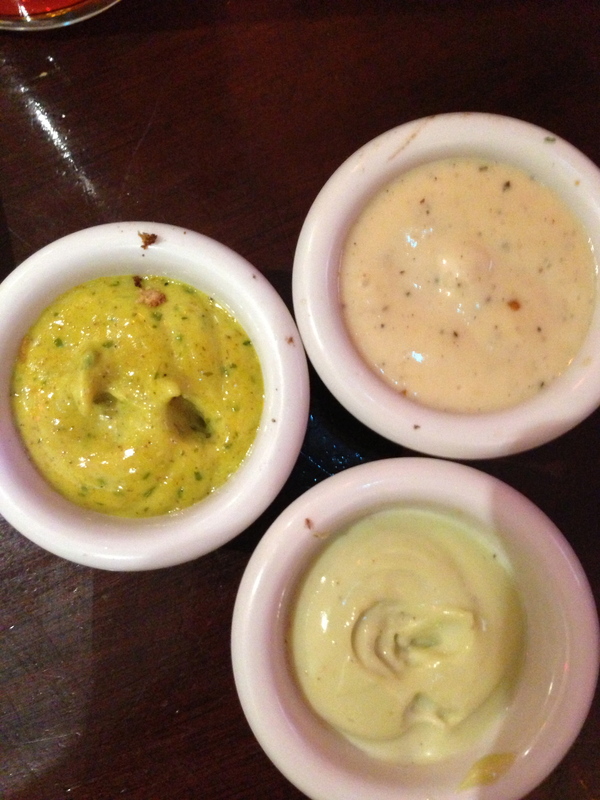 Dipping sauces – curry cilantro motor, avocado chipotle and garlic maple.